DNA sequence technology and its analysis is a field of rapid technological change. We work with academic groups and businesses with goals of making sense and keeping on top of microbial DNA sequence analysis and metagenomics, employing alternative bioinformatic tools to mine genomic data including scripting in Python and R and Machine learning. 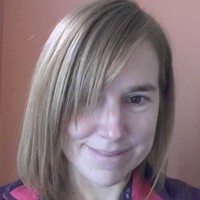 Lisa previously worked at The Wellcome Trust Sanger Institute in Cambridge on pathogen genome annotations and comparative genomics and prior to that as a laboratory-based Biologist in Sainsbury Lab, John Innes, and at UEA. She was able to gain valuable experience within both environmental and clinical microbiology settings with perspectives from both biology and bioinformatics. Aside from genomic research, she also carries out outreach projects in the wider community.